Becky here with my last project for this week. I had the "Fresh" collection by Authentique. I love the beach so I really enjoyed working with this line. I made a layout using some beach pictures of my husband and I in Costa Rica. The subtle blues with the vibrant red were perfect for these pictures. 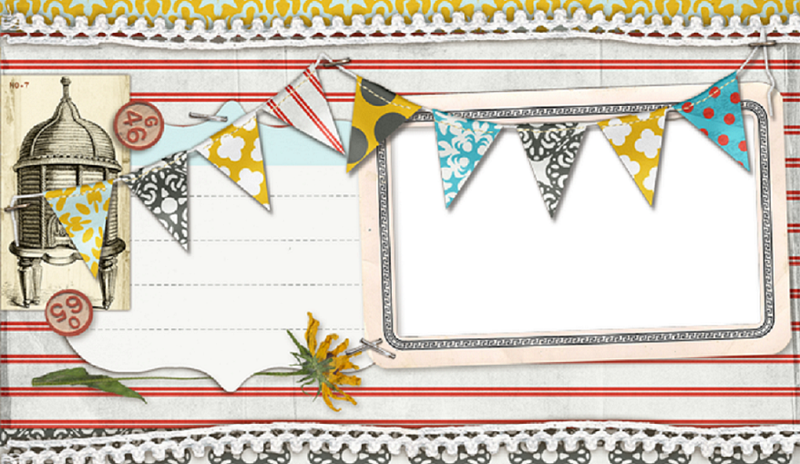 On Tuesday I shared this layout I had found on Pinterest using stitched hearts. I decided to try the same concept only using circles instead. I also stitched one circle and finished the layout with some subtle stamping. As always you can find the materials used as well as see all of the projects featured on the blog at Pages From the Heart in Monrovia. Hope you felt inspired this week to print those beach pictures and get working!